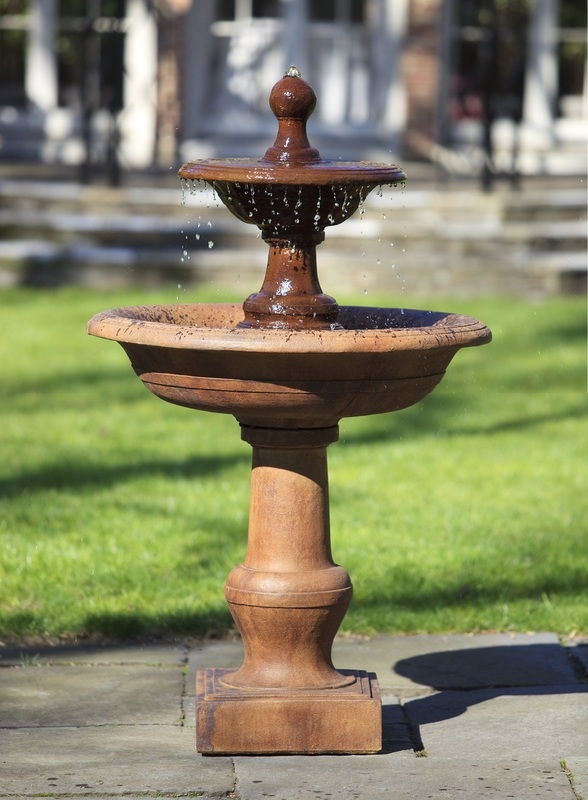 The antique style Cortile Fountain draws on the classic multi-tiered fountain design which has been popular for centuries. Water gushes from the uppermost pinnacle into the top bowl, which in turn creates a wonderful waterfall effect as the excess water cascades down beautifully to be caught in the final tier below. L 40.5" W 40.25" H 31.25" | 432 lbs.